Rick Jackson, pictured, is the Gallia County Chamber of Commerce’s newest board member. The Gallia County Chamber of Commerce is pleased to present its newest board member, Rick Jackson. Jackson is a Gallia County native and serves as an account executive at The Wiseman Agency in Gallipolis. He specializes in industrial markets and commercial sales, where he brings with him nearly a decade of business-to-business sales experience. Jackson has held positions as an outside sales representative for a national industrial supply company, progressing into management, and then onto a leading sales role for a West Virginia based, global plastics company. Jackson is a Marshall University graduate with a bachelor’s degree in Environmental Science and a minor in Business. He holds the Lean Six Sigma Black Belt certification and the Commercial Lines Coverage Specialist (CLCS) insurance designation. Jackson is a member of the Gallia County Convention and Visitors Bureau’s Advisory Council. 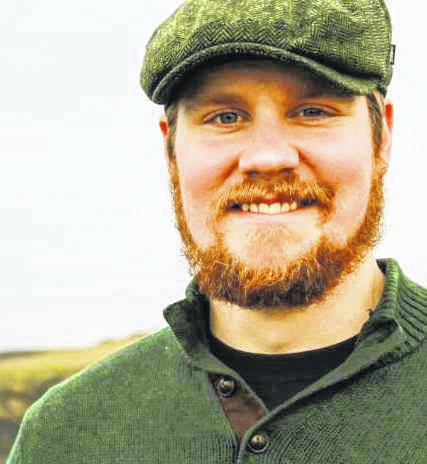 In addition, he volunteers with youth each spring for the Gallia County Longbeards Youth Hunt (National Wild Turkey Federation), along with volunteering at his church, River City Fellowship, and at the French Art Colony where his wife, Maggie Jackson, is the executive director. Rick also spends a great deal of time chasing chickens and tapping maple trees with his two-year-old daughter, Stella. Submitted by the Gallia County Chamber of Commerece.